Overall, this first episode turned out to be quite ok with me. The animation, the voice, music, and character design are look very fine to me. One thing that didn’t up to my expectation is the plot itself. I taught the plot will going be very interesting and going to be deep but it turned to be light-hearted, typical romance comedy high school anime. But at least , it is a lot better than Haruka Nogizaka’s Secret (very boring storyline and not my cup of tea). I would like to try few more episodes before i decide to follow this series to the end. Hope the storyline of this anime will getting better and better. P/S:If you would like to know more about Toradora!, check it out at here and here as well for more information and better toradora review. 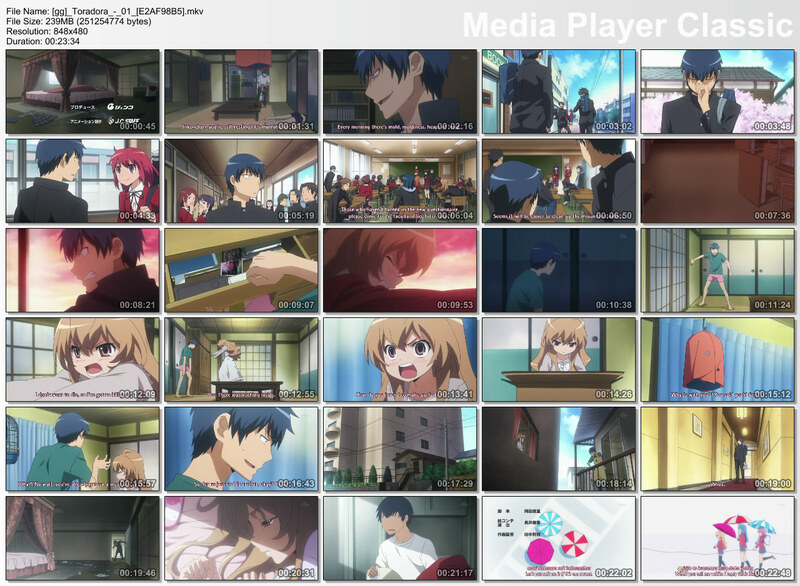 This entry was posted in Anime and tagged Toradora - 01, Toradora! by mofandom. Bookmark the permalink.